Some of you might remember the Hamer & Clay ornaments I bought as Christmas presents last year. Beka got one as part of her blogger Secret Santa, which pretty much sealed the deal on her being my internet wife. They were a HUGE hit, really cute, and super affordable. They are my new go-to favorite present for barn friends (so um… all my barn friends… forget what you just read and act surprised when you get an ornament) and my friends with dogs. Because who doesn’t love having their favorite furry friend turned into an awesome keepsake? This year I’m buying one for myself too, because somehow last year in my ornament frenzy I forgot to do that. Kelsey, the owner of Hamer & Clay, can do just about anything you can dream up. 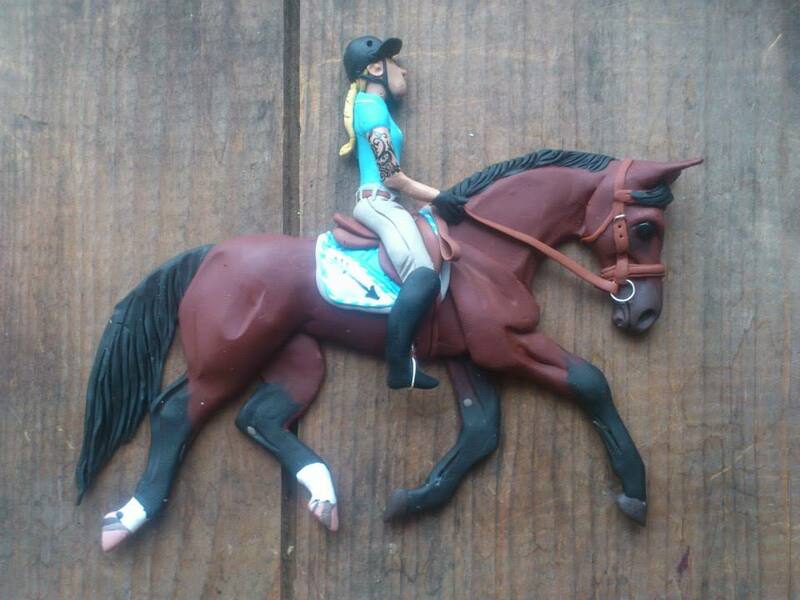 Any colors, any kind of special features, markings, tack, glitter, rhinestones, horses, dogs, even fish… you name it, she can do it. And they’re all STUNNING. All I did was send her photos, specify details, colors, etc, and she absolutely nailed every single one. any pose, any style of wreath, or stall door. Equines with bows: $20.00 ea. one horse, one bow, or simple adornment. Cattle, swine, deer, moose etc. you don’t see listed above. All orders placed and paid for before December 10, 2015 are guaranteed to arrive before Christmas. Orders are a first come first serve basis. New orders may be waitlisted depending on order volume. All orders can be monitored via a link provided with your invoice number. -All ornaments are shipped via Canada Post/USPS unless otherwise specified. Ornaments are wrapped in tissue, gift boxes and bubble wrap, they are packed securely and carefully. -Ornaments can be shipped as gifts directly to their intended recipients, wrapped free of charge. Discounts will still apply. USA Customers: $13.50 ground (4-10 days) with tracking. PM for express rates. So go forth, readers, support a great small business, and buy all the ornaments! Don’t forget to follow Hamer & Clay on facebook to see all of her ornaments and get business updates. Well, I’m convinced. I need one!! Everyone needs one. For as cute as they are online they’re even better in real life. I have always meant to order from her, I love her work! I ordered two ornaments yesterday. Looks like I should have waited a day. Oh well. Maybe someday I’ll order one for myself. These are incredible. Christmas shopping, done! Oooh, a local company for me! Everyone’s getting one this year. I’ve been stalking her etsy ever since I saw it on your blog last year. Cannot wait to order some! Possibly I want one of every horse I’ve ever had…. I can’t even believe the prices, phenomenal! Ooopf! Could have used that coupon code yesterday when I ordered 4, haha. Oh yay! Christmas wishes fulfilled! Is all I have to say about that. 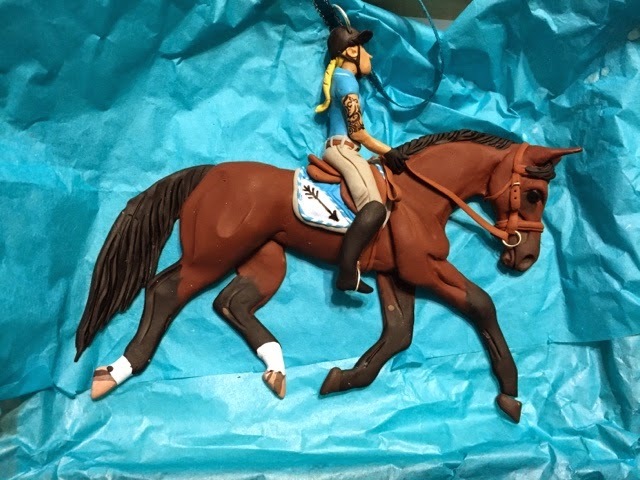 And then I spent $100 on gift ornaments… I want one of Annie but couldn’t justify it right now. Maybe sometime! And thanks to this little post, my friends now know what one of their xmas presents is. Damn you. (They read it, got excited about ordering them, and I had to shut them down before they did so). I love ruining things. I’m a great ruiner. Great idea; we had to put down my mother’s horse of 32 years this past year: I love the stall door ornament for that purpose. I have never seen such personalized ornaments like that before! So cool! Thanks! I’m getting cat ones for my Mom! And ones for me to of course. She is fabulous! I ordered about a dozen last year!